Utah proudly hosted the 2002 Olympic and Paralympic Winter Games. 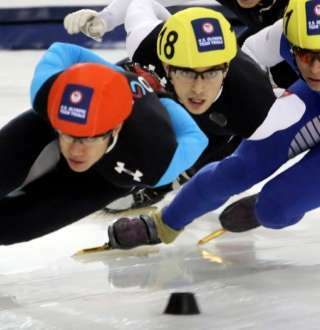 2500 Olympians representing 77 nations competed in Salt Lake and nearby venues, attracting the largest crowds ever for an Olympic Winter Games (this record still stands). The US Team won 34 medals at the 2002 Games, and the entire event was a smashing success all around. The Utah Olympic Legacy Foundation was created to carry on the spirit of the 2002 Winter Games for Utah and its visitors. Through recreational camps and progression-oriented development programs, the Foundation focuses on fostering a positive experience for Utah’s youth in winter sports. Thanks to these efforts and the Foundation&apos;s official U.S. Olympic Training Sites, the Utah Olympic Oval and the Utah Olympic Park, the Foundation represents the future of winter sports in North America. Located 20 minutes from Salt Lake in Park City, Utah, the Utah Olympic Park was the host venue of the 2002 Winter Olympic Games&apos; ski jumping, bobsled, and luge events—as well as the first Olympic skeleton competition since 1948. 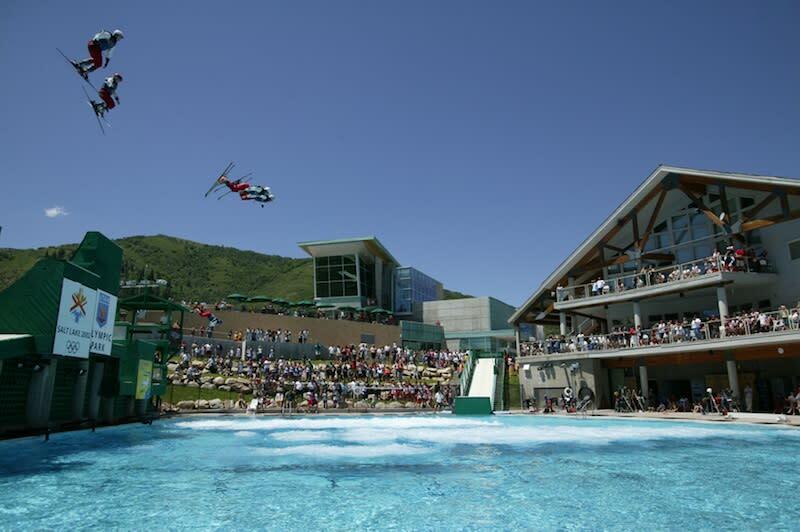 The Utah Olympic Park continues to be a major training site for current and prospective Olympians. 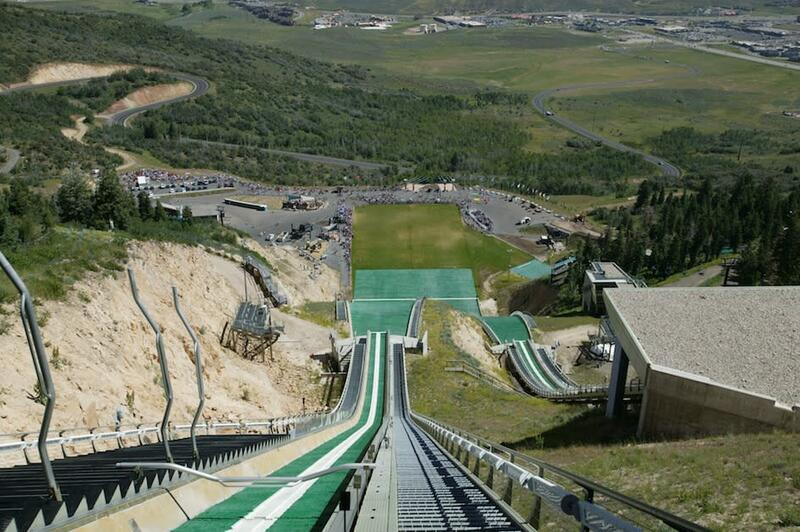 In addition to the sliding track and Nordic jumps, the Utah Olympic Park also features training facilities for moguls and freestyle aerials, as well as a terrain park and boarder-cross course where visitors can watch everyone from young kids to next-generation Olympic athletes honing their skills. On the Comet Bobsled Ride, visitors can experience G-forces while riding in a professionally piloted bobsled, reaching speeds up to 60mph. In the summer the bobsleds are modified with wheels and travel down a concrete track. In the winter, they slide on ice. It&apos;s an intense one-minute adrenaline rush and not for the faint of heart. For the less extreme, the Alpine Slide still delivers thrills, but lets you control the speed. The Extreme Zipline is one of the steepest in the world, giving you a taste of what Olympic Nordic ski jumpers feel as they soar through the air, while the Freestyle Zipline is a little more mellow. Three alpine "Adventure Courses" designed for various ages and ability levels will test your agility and stamina, and a 65-foot tall Drop Tower will test your fear of heights. Try deep-water soloing on the public climbing wall; the same wall used by Chris Sharma, Paul Robinson, and Sasha DiGulian in the Utah Olympic Park&apos;s Psicobloc climbing competitions. Explore the Alf Engen Ski Museum and 2002 Winter Olympics Museum, and take a guided tour of the park where you’ll get to see the sliding track and stand atop the biggest Nordic ski jump. Take a scenic chairlift ride and enjoy miles of beautiful Park City trail. If you&apos;ve worked up an Olympic sized-appetite, stop into The Silver Bean Cafe for sandwiches, salads, and beverages. The General Store sells snacks and drinks if you need something to go. The Utah Olympic Park is one of the few places you can find official US Olympic Team apparel, accessories, and gifts. There&apos;s always excitement to be found at the UOP. Watch Olympians and National Team skiers fly high in regular Freestyle Shows, attend the Psicobloc Master Series where the world&apos;s best climbers compete, and much more. Check out the Park&apos;s event calendar to find out what&apos;s going on now. The Park is also available for group outings, including parties, meetings, and corporate team-building events. Find out more about the facilities and options. 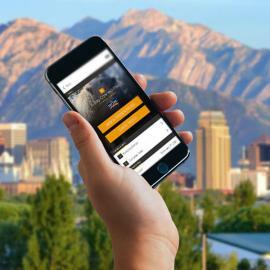 One Adventure Course or one Guided Park Tour is available as part of the Visit Salt Lake Connect Pass, which offers 50 - 80% off regular admission prices on 15 of Salt Lake&apos;s most fascinating attractions. Learn more about the Connect Pass here. 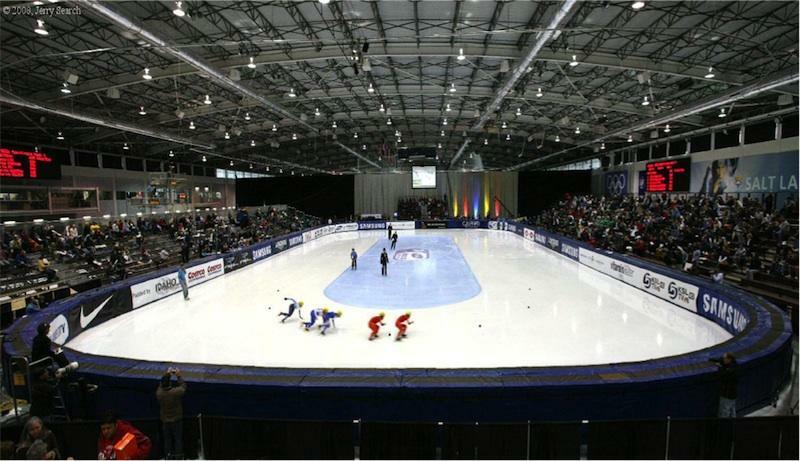 The Utah Olympic Oval is home to the “Fastest Ice on Earth,” a distinction earned by having eight world records and 10 Olympic records set on its ice during the 2002 Winter Games&apos; speed-skating competitions. Public ice time and skate rentals are offered on most days for those who want a chance to get on Olympic ice. During the fall, Saturday-night Cosmic Skating adds black lights, lasers, a live DJ, and Utah’s largest disco ball to the mix. Instruction in speed skating, hockey, and figure skating are available, and you can even learn to curl with the same stones used in the 2002 Winter Olympics. Try Cosmic Curling between October and March. Two cafes at this venue, the Island Cafe and the Fast Cafe, offer quick eats, whether you&apos;re looking for a hot lunch or a cool, refreshing treat. 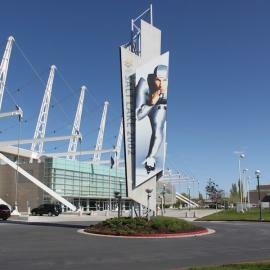 The Oval&apos;s Speed Zone Pro Shop carries, ice hockey, speed skating, and figure skating equipment, as well as Utah Olympic Oval logowear and gifts. 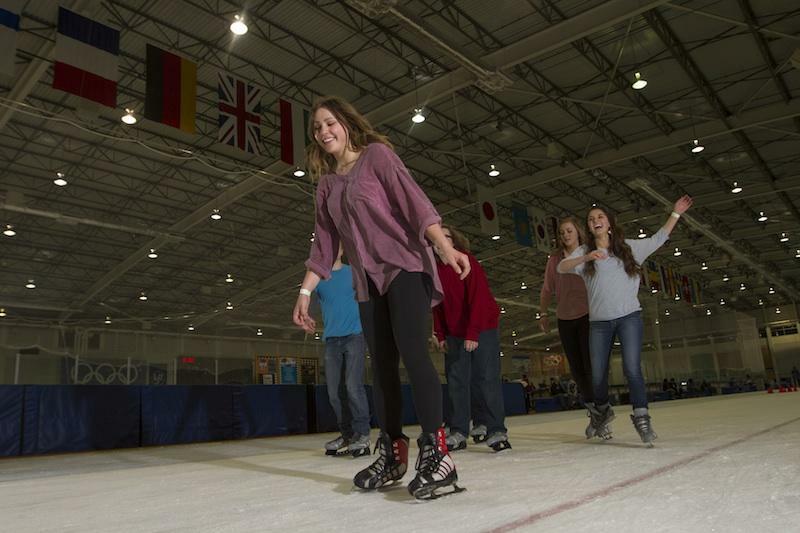 Athlete appearances, festivals, 5Ks, skating competitions, and outdoor movies are just a few of the things happening at the Utah Olympic Oval on a regular basis. Check the event calendar to find out what&apos;s going on now. 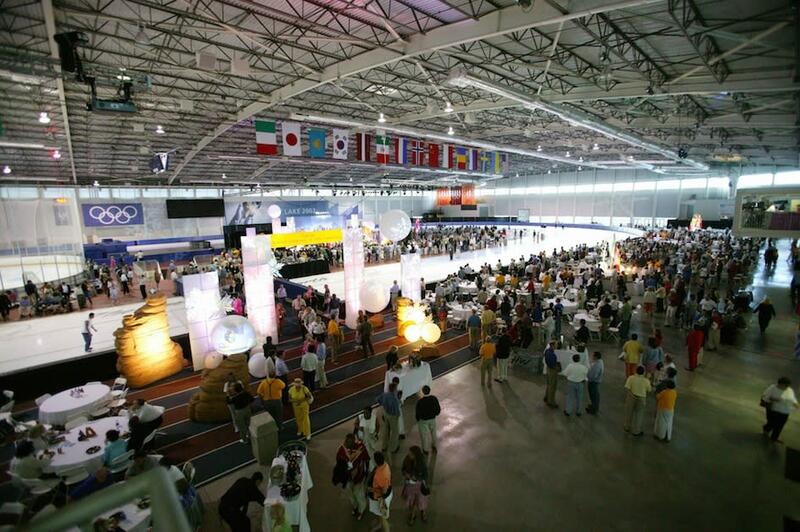 The Utah Olympic Oval is also a great place for kids&apos; birthday parties, large group events, and corporate meetings and team-building events. Find out more about the facilities, services, and options.